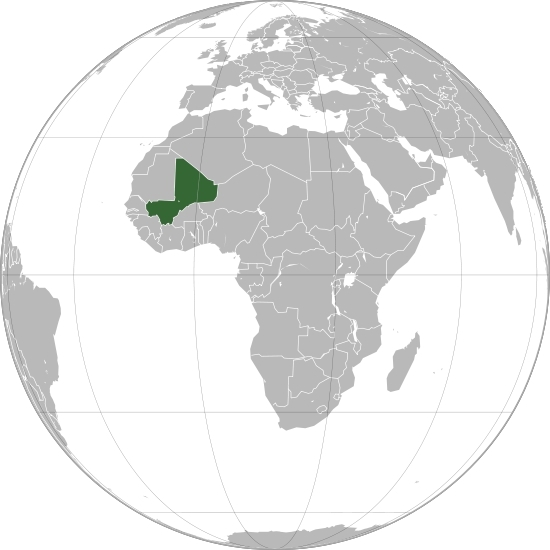 January 11, 2013 (LD) - A deluge of articles have been quickly put into circulation defending France's military intervention in the African nation of Mali. TIME's article, "The Crisis in Mali: Will French Intervention Stop the Islamist Advance?" decides that old tricks are the best tricks, and elects the tiresome "War on Terror" narrative. "...there is a (probably well-founded) fear in France that a radical Islamist Mali threatens France most of all, since most of the Islamists are French speakers and many have relatives in France. (Intelligence sources in Paris have told TIME that they’ve identified aspiring jihadis leaving France for northern Mali to train and fight.) Al-Qaeda in Islamic Maghreb (AQIM), one of the three groups that make up the Malian Islamist alliance and which provides much of the leadership, has also designated France — the representative of Western power in the region — as a prime target for attack." What TIME elects not to tell readers is that Al-Qaeda in the Islamic Maghreb (AQIM) is closely allied to the Libyan Islamic Fighting Group (LIFG whom France intervened on behalf of during NATO's 2011 proxy-invasion of Libya - providing weapons, training, special forces and even aircraft to support them in the overthrow of Libya's government. Algeria has expressed particular concern that the unrest in Libya could lead to the development of a major safe haven and sanctuary for al-Qaeda and other extremist jihadis. And thanks to NATO, that is exactly what Libya has become - a Western sponsored sanctuary for Al-Qaeda. AQIM's headway in northern Mali and now French involvement will see the conflict inevitably spill over into Algeria. It should be noted that Riedel is a co-author of "Which Path to Persia?" which openly conspires to arm yet another US State Department-listed terrorist organization (list as #28), the Mujahedin-e Khalq (MEK) to wreak havoc across Iran and help collapse the government there - illustrating a pattern of using clearly terroristic organizations, even those listed as so by the US State Department, to carry out US foreign policy. Geopolitical analyst Pepe Escobar noted a more direct connection between LIFG and AQIM in an Asia Times piece titled, "How al-Qaeda got to rule in Tripoli:"
"Belhaj," referring to Hakim Abdul Belhaj, leader of LIFG in Libya, led with NATO support, arms, funding, and diplomatic recognition, the overthrowing of Muammar Qaddafi and has now plunged the nation into unending racist and tribal, genocidal infighting. This intervention has also seen the rebellion's epicenter of Benghazi peeling off from Tripoli as a semi-autonomous "Terror-Emirate." Belhaj's latest campaign has shifted to Syria where he was admittedly on the Turkish-Syrian border pledging weapons, money, and fighters to the so-called "Free Syrian Army," again, under the auspices of NATO support. 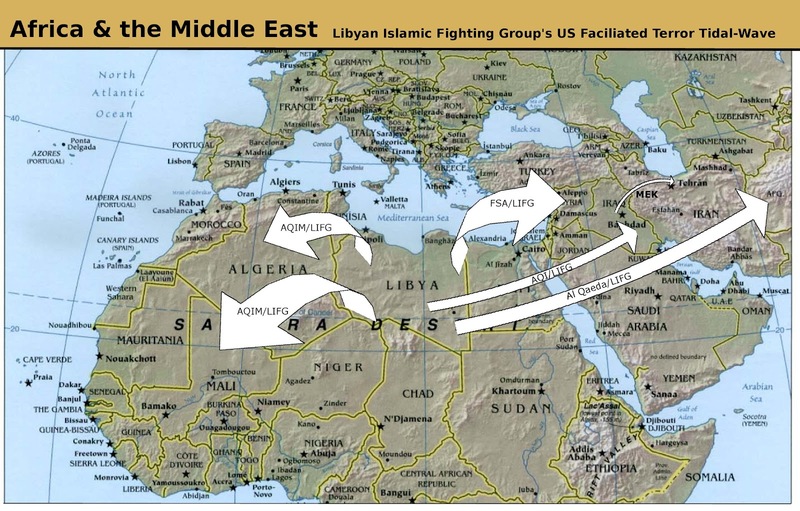 Image: NATO's intervention in Libya has resurrected listed-terrorist organization and Al Qaeda affiliate, LIFG. It had previously fought in Iraq and Afghanistan, and now has fighters, cash and weapons, all courtesy of NATO, spreading as far west as Mali, and as far east as Syria. The feared "global Caliphate" Neo-Cons have been scaring Western children with for a decade is now taking shape via US-Saudi, Israeli, and Qatari machinations, not "Islam." In fact, real Muslims have paid the highest price in fighting this real "war against Western-funded terrorism." 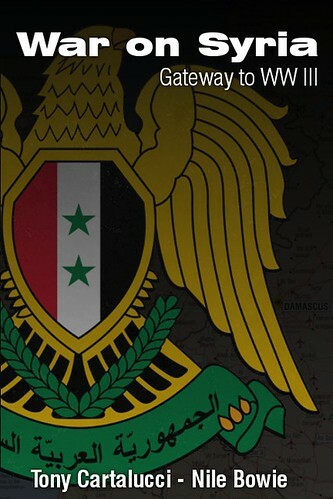 LIFG, which with French arms, cash, and diplomatic support, is now invading northern Syria on behalf of NATO's attempted regime change there, officially merged with Al Qaeda in 2007 according to the US Army's West Point Combating Terrorism Center (CTC). According to the CTC, AQIM and LIFG share not only ideological goals, but strategic and even tactical objectives. The weapons LIFG received most certainly made their way into the hands of AQIM on their way through the porous borders of the Sahara Desert and into northern Mali. A leading member of an al Qaeda-affiliated terror group indicated the organization may have acquired some of the thousands of powerful weapons that went missing in the chaos of the Libyan uprising, stoking long-held fears of Western officials. "We have been one of the main beneficiaries of the revolutions in the Arab world," Mokhtar Belmokhtar, a leader of the north Africa-based al Qaeda in the Islamic Maghreb [AQIM], told the Mauritanian news agency ANI Wednesday. "As for our benefiting from the [Libyan] weapons, this is a natural thing in these kinds of circumstances." It is no coincidence that as the Libyan conflict was drawing to a conclusion, conflict erupted in northern Mali. It is part of a premeditated geopolitical reordering that began with toppling Libya, and since then, using it as a springboard for invading other targeted nations, including Mali, Algeria, and Syria with heavily armed, NATO-funded and aided terrorists. French involvement may drive AQIM and its affiliates out of northern Mali, but they are almost sure to end up in Algeria, most likely by design. 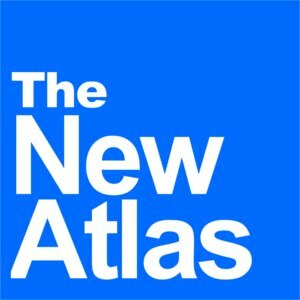 Algeria was able to balk subversion during the early phases of the US-engineered "Arab Spring" in 2011, but it surely has not escaped the attention of the West who is in the midst of transforming a region stretching from Africa to Beijing and Moscow's doorsteps - and in a fit of geopolitical schizophrenia - using terrorists both as a casus belli to invade and as an inexhaustible mercenary force to do it.